Whenever I think about the past, I think about all the choices that I made to become the person I am today. 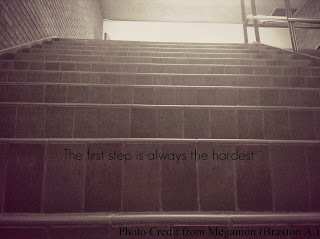 And what I always remember that the first step was always the hardest and scariest. Whether it was joining the football team not knowing anybody or even knowing how to play the game, or auditioning for a part in a play, and in some cases starting school in a completely new country. 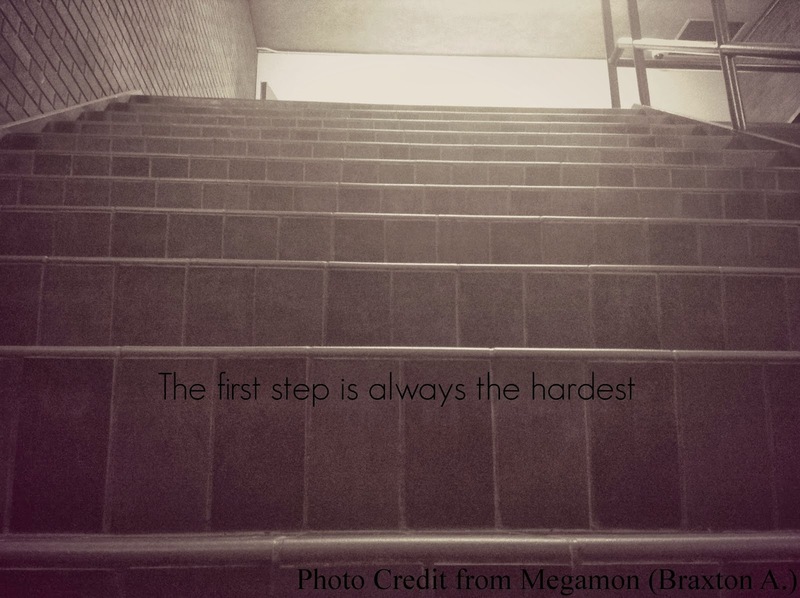 The reason why I toke the picture from the angle I did was because I wanted to stairs to look more intimidating much like the challenges we experience right before we that “first step” Cause the problems we face in life look a lot more difficult when we start at the bottom. I also used a black and white effect to give a more serious tone.